Have you noticed? Build Lebanon Trails is generating a lot of traction lately. We’ve had several articles in various papers in the past year. Facebook likes have passed 1,000. We have about 550 subscribers to our news emails. And our website traffic has doubled in the past year. BLT is smokin’. We’ve always been proud of the fact that we have no paid help and few administrative costs, so donations go almost completely towards trail development and maintenance. How have we pulled this off? Mainly because the board directors are very active in keeping things running and organizing events, along with a few invaluable loyal volunteers who’ve put in a lot of effort over the years. 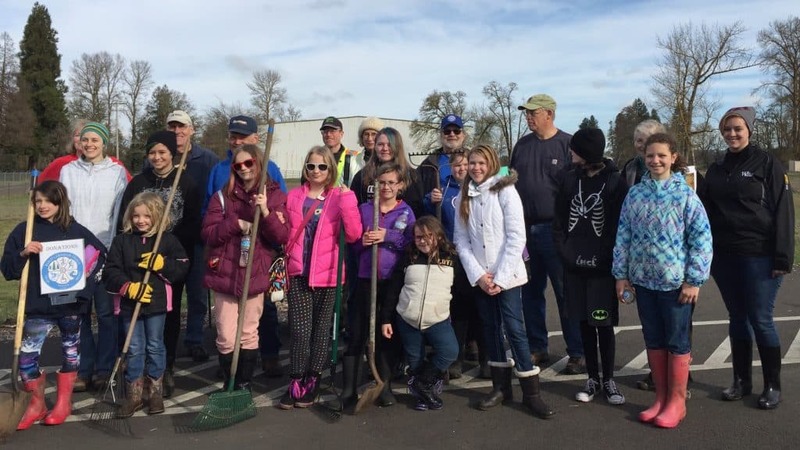 We have lots of great new ideas to get our community out on the trails and participating in BLT activities, and the community is enthusiastic, but we just don’t have the means to expand our outreach further with the resources we currently have. The solution? A new elite volunteer program, which we’ve dubbed Trail Troopers. How is this different from being a regular BLT volunteer? Usually we put out a call for volunteers and hope people sign up. We then need to instruct them on how to do the task and then watch over them a little, be on hand for questions, and so on. In other words, volunteers who respond to our requests are definitely helpful and appreciated, but it requires significant effort to recruit and manage them for events and tasks. With the elite program, we have in mind a small group of people who know what BLT is about, they know how to represent BLT to the public, and after their initial training period, they don’t require much supervision, though of course the board members are always on hand to help. Nearly everything a volunteer might want to do will either directly benefit the community or provide a service that a board member normally spends time on, which frees up their time to do more outreach. Either way, you’re adding your own skills and enthusiasm to the BLT effort, you’re doing what you like, and you know that you’re making a significant contribution to BLT and the bigger community. We’ve been putting out teasers about this new program, and we made it official at last week’s community meeting. If you’ve been thinking you might like to be a part of BLT’s energy, we invite you to consider becoming a Trail Trooper! There will be a 2.5-hour training session on Saturday, January 26, 2019. This is where you’ll meet the board members and find out more about BLT’s history and mission, BLT’s plans, how to represent BLT to the public, who currently does what, and what kinds of volunteer effort we’re looking for. We’ll meet with you individually to discuss the type of volunteer work you’re interested in. There’s a lot of freedom there in deciding what you’d like to do. It doesn’t have to be something you’re good at. It could be something that you’d like to learn, and you could add this experience to your resumé. Or you might have a special skill that you’d like to contribute, and you could propose your own project. Once you’ve decided in general what you’re interested in, we’ll pair you up with a mentor. In most cases that will be a board member. They will guide you through your first experience and shadow you through your second experience, and then you’re out on your own, with help from your mentor whenever you think you need it. 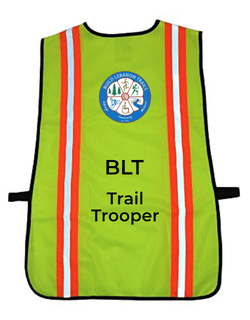 We’ll issue you a Trail Trooper safety vest, to make you an official representative of BLT when you wear it. We ask for a commitment of 20 hours per year to stay in the elite program. This can include the activity that’s your specialty, other activities that you sign up for, or trail patrol, which involves walking or biking the trails wearing your vest and just serving as a BLT ambassador. You’d be amazed at the number of people who will make a special effort to come over and tell you how much they enjoy the trails and the events. While on trail patrol you can alert BLT or the City if there’s anything on the trail that needs attention. Of course you can drop out of this program at any time. Volunteers who clock 100 hours will become Senior Trail Troopers. 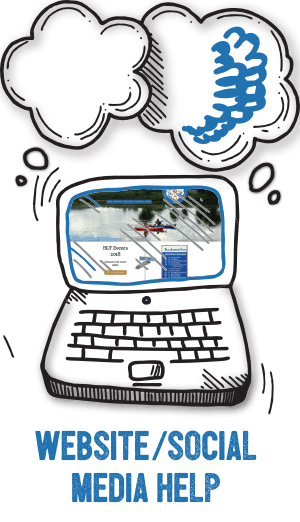 We’re planning an online membership area where Trail Troopers can stay in touch with each other and sign up for activities. We’re also planning a special annual event (like a picnic) especially for our elite volunteers. Bear in mind that this new volunteer program is also a volunteer effort, so things may be rough around the edges as we get the program up and running. We’ll gladly take your feedback, and you might even have skills you can contribute to improve the program. Volunteer induction will occur only once a year. We don’t expect a lot of people to sign up. In fact we’d be thrilled to get one or two new people each year. We understand it’s a commitment and our community is small. What we can promise is that if you have the energy to represent BLT, we’ll do our best to make it a meaningful experience for you, and your contribution will be greatly valued, because you will represent BLT to the community, and you are part of the community. To enroll, fill out the online application form, accessed by clicking the button at the top of this page.